The Medieval peasant together with freeman and villeins, lived on a manor in a village. Most of the peasants were Medieval Serfs or Medieval Villeins. The small, thatch-roofed, and one-roomed houses of the Medieval Peasant would be grouped about	an open space (the "green"), or on both sides of a single, narrow street. The population of one of these villages often did not often exceed one hundred	people. The Medieval Peasant shared a common life in the work of the fields, in the sports of the village green, and in the services of the parish church. But there was time for rest and entertainment in the life of a Medieval Peasant. The life of a Medieval peasant changed with the seasons. Small animals required slaughtering during the autumn as it was not economic or practical to feed animals during the winter. The meat was then preserved in salt. Bread was a mainstay of the Medieval Peasant. Corn, grain, cabbage, ale or cider was obtained from the local area. Reaping - To cut crops for harvest with a scythe, sickle, or reaper. Haymaking - cutting grass and curing it for hay. Threshing - To beat the stems and husks of plants to separate the grains or seeds from the straw. Servants and Medieval peasants had to provide meals and undertake menial tasks for their lord and his family. Many of the Medieval peasants who worked in the castles were women. Women worked in the kitchen and were expected to cook, clean and wait on the lord. Other occupations were carried out by the Medieval peasants within the castles as stable hands to help with the horses and kitchen staff. 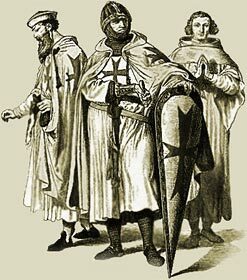 The horses were extremely important to the Lord and Knights - the horses had to be fed, groomed and their stables kept clean. The Medieval Peasant had their days of rest and amusement. Medieval holidays were in fact much more numerous than at present. During the era period the festivals of the Church were frequent and were rigidly kept by the Medieval Peasant, as each festival was the pretext for a forced holiday from manual labour. The Medieval Peasant therefore enjoyed many holidays; it has been estimated that, besides Sundays, about eight weeks in every year were free from work. Festivities at Christmas, Easter, and May Day, at the end of ploughing and the completion of harvest, relieved the monotony of the daily round of labor for the Medieval Peasant. The Medieval Times website provides interesting facts, history and information about the life of people who lived during the Middle Ages which scatter the Medieval History books including the subject of Medieval Peasant. The Medieval Times Sitemap provides full details of all of the information and facts about the fascinating subject of the lives of the people who lived during this historical period. The content of this article on Medieval Peasant provides free educational details, facts and information for reference and research for schools, colleges and homework for history courses and history coursework.